The number of individuals waiting for permanent resident status under a program that brings foreign caregivers and nannies to Canada has ballooned to more than 60,000, according to documents released under an access to information request. More than half of those individuals waiting for permanent residency are the spouses and children of foreign caregivers already living in Canada, according to documents obtained under access to information and given to CBC News. Foreign caregivers are eligible to apply for permanent residency after two years of work in Canada, but it can take more than three years to process their applications. After they are granted residency, they can then apply to bring over their children and spouses. Richard Kurland, an immigration lawyer and policy analyst, says processing time is too long. "The bloated inventory with prolonged processing times is causing harm to children who are being separated from their parents working in Canada as a live-in caregiver," said Kurland. But there is another reason reform is badly needed, he says. "An overwhelming majority of these cases are family members who are giving live-in caregiver jobs to other family members." Reports from various immigration officials dating back to 2006 and as recently as 2011 have flagged concerns that family members already in Canada are hiring relatives abroad as caregivers to bring them here. The bulk of those applications are for caregivers from the Philippines. Those internal reports, also obtained under access to information and given to CBC News, suggest that while the program is benefiting Filipino families in Canada, it isn't serving other Canadians in need of live-in caregivers the way it was intended. Employment Minister Jason Kenney said in June the caregiver program had morphed into "a family reunification program." But Teresa Agustin, the chair of Migrante Canada, a national organization representing Filipino immigrants, says that claim is false. She points to a national study published earlier this year of 631 former and current live-in caregivers showing the vast majority were recruited to Canada through employment agencies. The GATES survey, supported by the Social Sciences and Humanities Research Council, shows only one in 10 recent caregivers were hired by relatives. Manuela Gruber Hersch, president of the Association of Caregiver and Nanny Agencies Canada, says Canada should consider adopting a similar system to the U.S. or Holland, where agencies are responsible for matching caregivers with Canadian families. "There are no private matches allowed and all placements go through regulated agencies who become semi-responsible for each match, including educating families and ensuring that caregivers are safe and treated fairly. The agencies must do an annual audit," she said in an email to CBC News. Internal immigration emails show the government temporarily hired more staff to clear what seemed like a large backlog of more than 9,000 applications in 2006-07, under an initiative dubbed "the Clearinghouse project." According to Kurland, the government could have avoided another backlog if it had taken action and put a cap on the number of work permits issued annually to live-in caregivers. 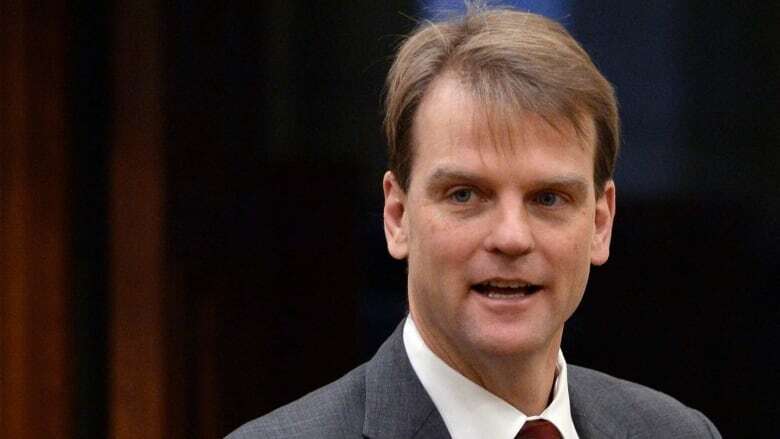 Immigration Minister Chris Alexander has said 17,500 applications will be processed from the permanent residency backlog this year. As CBC News reported last week, Alexander has signalled to stakeholders he is considering moving the caregiver program to Express Entry, a new immigration system for skilled immigrants looking to work in Canada permanently. Under Express Entry, only a limited number of jobs are available under any given occupation and only the "highest-ranking" applicants will be offered permanent residency. Kurland has mixed feelings about Express Entry, of which few details are known. "On the down side, Express Entry is anything but transparent. There's no monitoring, there's no oversight, there's no reporting requirement." Stakeholders who have met with Alexander say he has also floated the idea of making it optional for caregivers to live with their employers. Kenney, who was the immigration minister before Alexander, told the Commons committee on immigration in April 2013 the backlog of foreign caregivers stood at 45,000 with a five-year wait time. The current backlog in excess of 60,000 applications does not include foreign caregivers who are in the system but have yet to put in their mandatory two years before qualifying for permanent residency. Kenney said at the time that number stood at 35,000.